I first traveled to Japan when I was nineteen years old, and spent the better part of the next eleven or twelve years there. 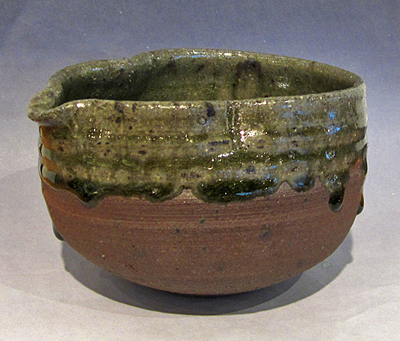 Although my initial interest in Japan was sparked by some awareness of medieval stonewares and the writings of Bernard Leach about the modern folk art movement, what captured my attention as a resident was quite different. Wrapped up in the ordinary details of day-to-day life my focus shifted to the needs of the contemporary kitchen and table top....While the teapots I make are invariably functional, I am certainly not dogmatic about utility. I think of utility as a kind of continuum, with the generic or universal idea of containment at one end, and specific, focused, single purpose tools at the other. 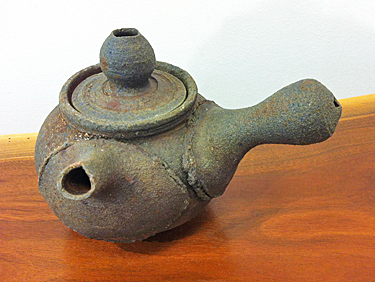 The teapot, a "machine" for brewing and serving tea, would be found at the specific end, but it also serves as a vehicle for my explorations into the materials and processes of ceramics. My approach lies somewhere between that of the alchemist and that of the scientist; discovery, rather than expression, is my primary motivation. 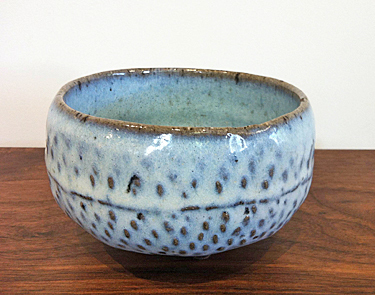 Wood fired Hailstone bowl; white/blue glaze. 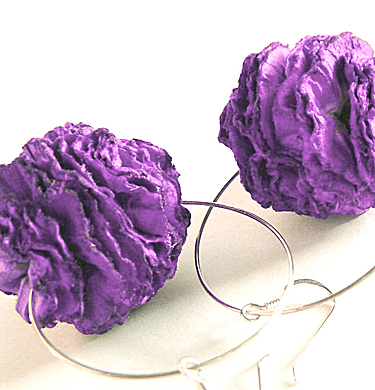 Dimensions, in inches: Approximately 3.5 tall x 4.25 in diameter. 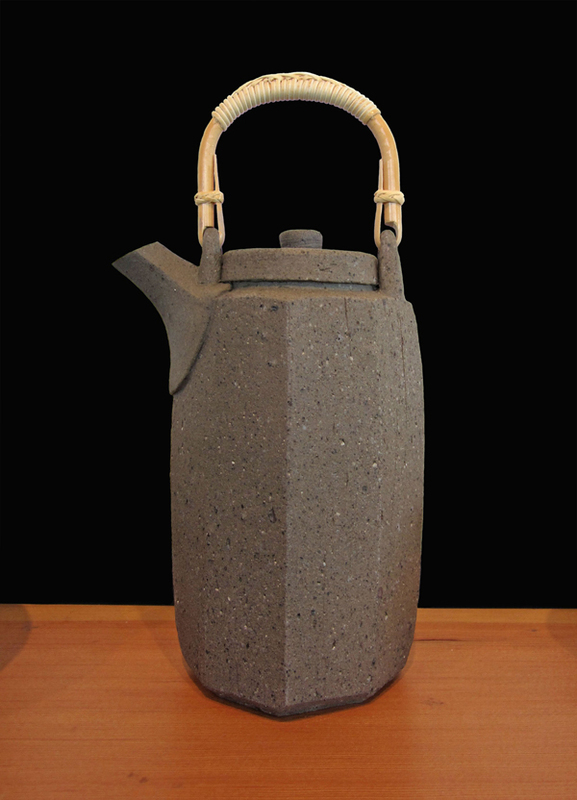 John Neely's tall tea pot. Wood fired. Approximate dimensions, in inches: 9 tall x 4-1/2 wide x 3-1/2 in circumference. 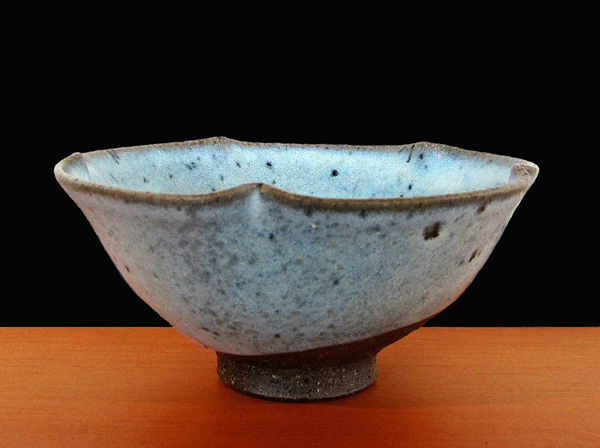 Unofu ash glaze five-petal bowl. Dimensions, in inches: Approximately 6 wide x 2-1/2 tall. 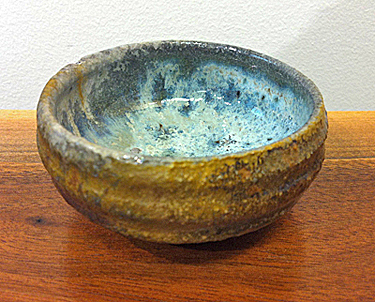 Wood Fired Pouring Bowl with drips. Dimensions: 5" wide x 3" tall. Wood fired Hailstone bowl. 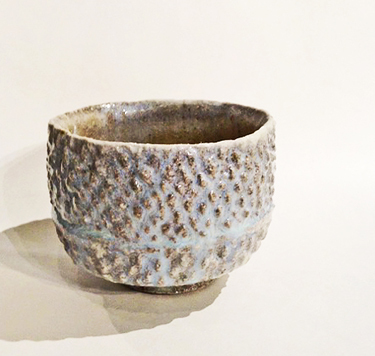 Grey tones, blue interior glaze. Dimensions: 5" wide x 3 1/4" tall. 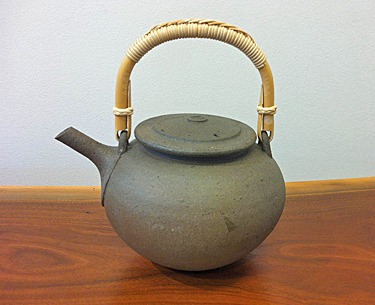 Large Wood Fired Teapot with bamboo handle. Unglazed. 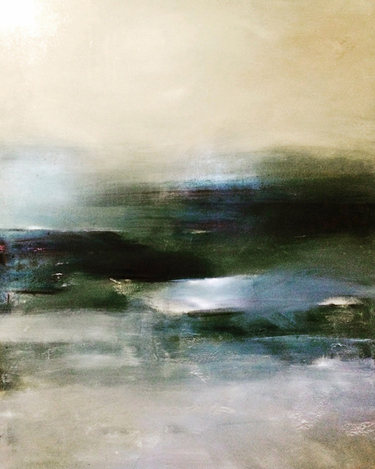 Dimensions: 7 1/2 " wide x 8 1/2 tall. 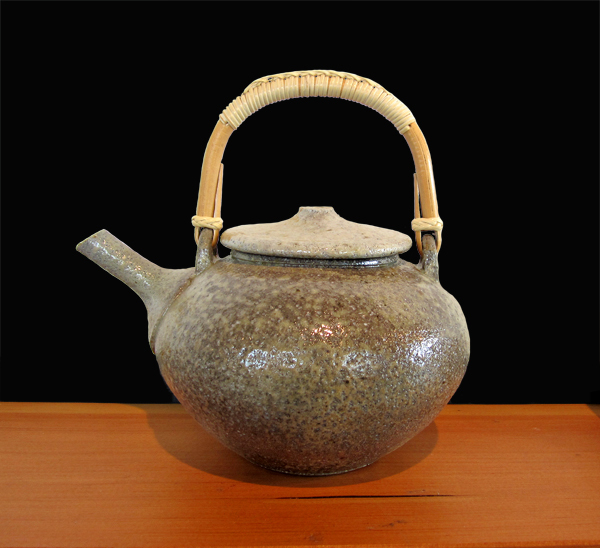 Medium Wood Fired tea pot with side handle. Dimensions: 7 1/2 wide x 5 1/2 tall. Small wood fired cup. Dimensions: 3" wide x 1 1/2" tall. 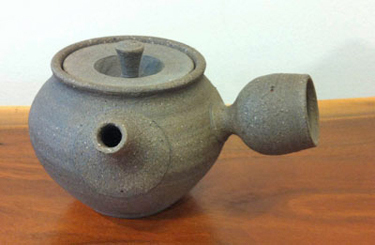 Small Wood Fired tea pot with wide side handle #1. Unglazed. Dimensions: 6 1/2" wide x 4" tall.